Here is one of the many projects that I have going at the moment. I am at the moment in the process of finishing up on the gifts that I am making so you will have to wait to see those! Here I have different views of the same sweater. This sweater is going to be a size 0 – 3 months size. Pictured here I only have the back and one of the front pieces done. 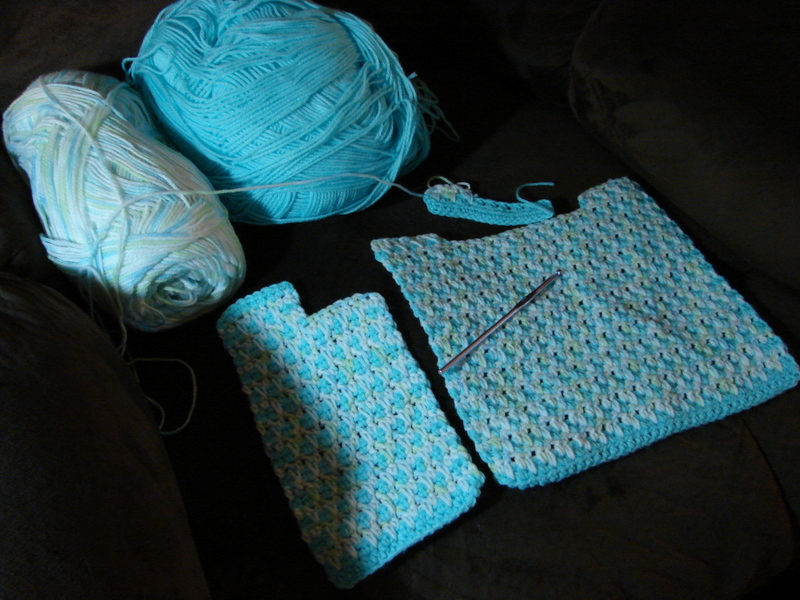 As you can see I started on the other half of the front of the sweater. 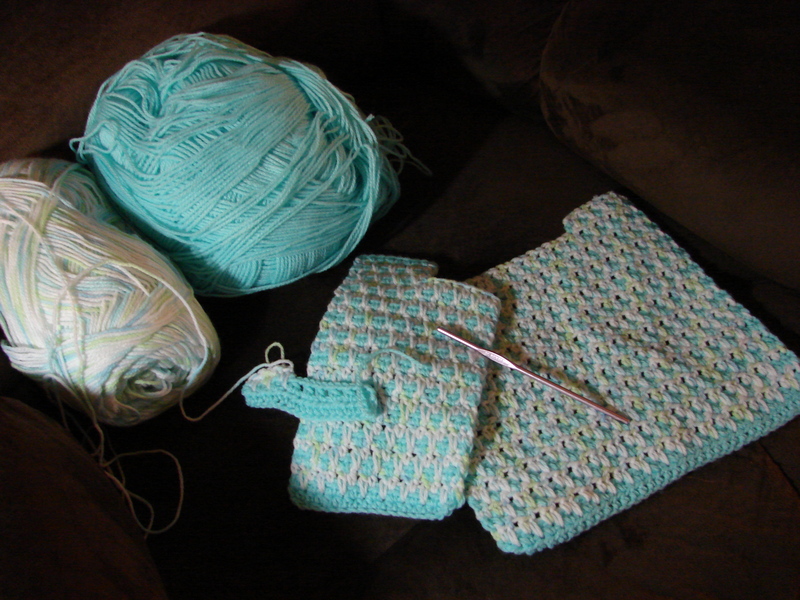 I am using Bernat Baby Sport yarn. I just love the soft luxurious feel this yarn has. I am debating on attaching a hood to this baby sweater. I am also running ideas through my head on how to fasten the front of the sweater together. Anyone that would have any opinions on either of my ideas please feel free to comment. I would love to hear what you think!!! Stay tuned for more pictures of this project as I finish the sweater. Mmmm Mmmm Good Holiday Baking! I went over to my Mother’s house so we could have some quality time together baking 🙂 We made Filled Sugar Cookies and Cinnamon Rolls! 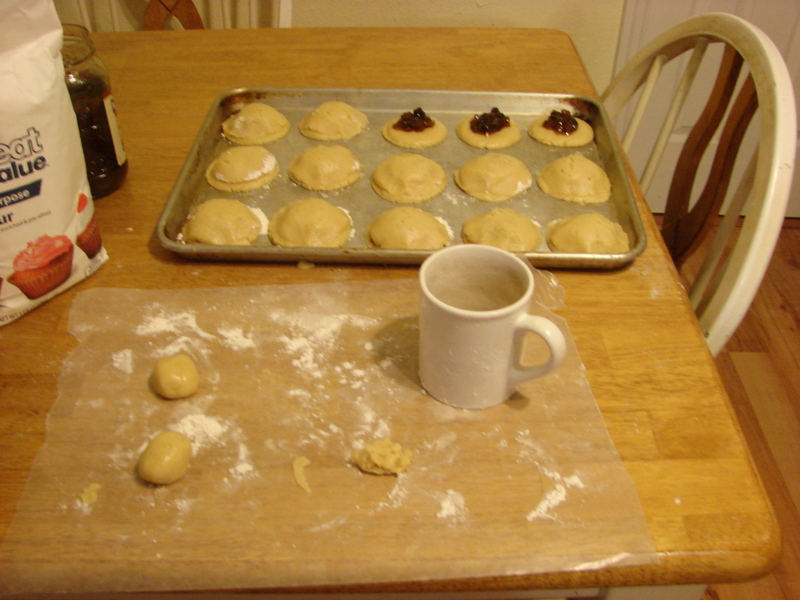 This time of year I always love to do baking for me and my children. It all started out with my Mom and the traditions that I carried over to my family. 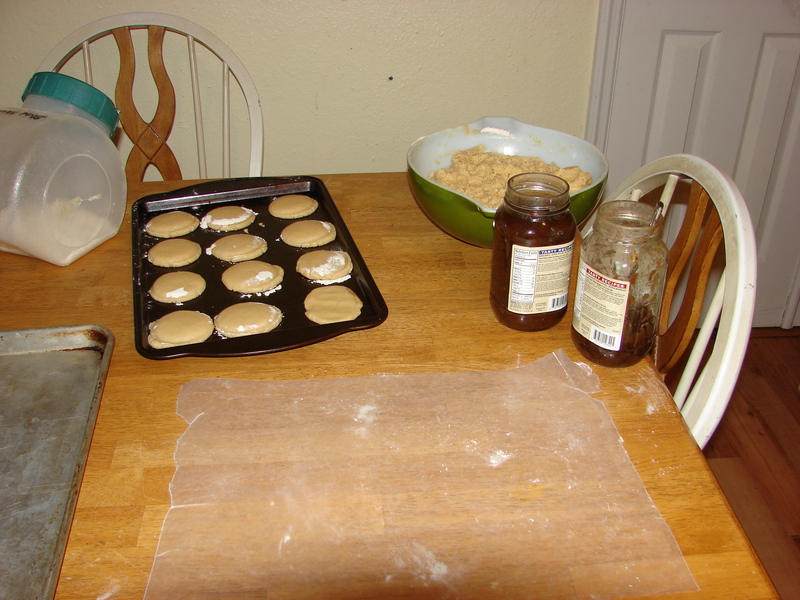 When I was young we would bake Sugar Cookies and Cinnamon Rolls with my Mom. Our Family Tradition was to have the Cinnamon Rolls Christmas morning while opening up gifts! When I had been baking for the day the children would come in and smell the deliciousness and want to dive right in after school and gobble them all up. Of course I made them wait until after they had supper!!! My son’s to this day still want me to send them the Cinnamon Rolls for Christmas along with some Peanut Butter Fudge. 🙂 They now have to settle for having the Cinnamon Rolls sent to them and not have the aroma that comes from them baking at home. I love to send them some baking love that comes from the heart! 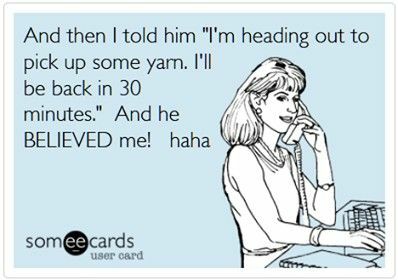 As I sit here with my husband watching a recording of WWE I thought I would share some Crochet Humor! I wanted to do something that combined my Crocheting and Wood together so I thought I would share my project of a hanging sign. 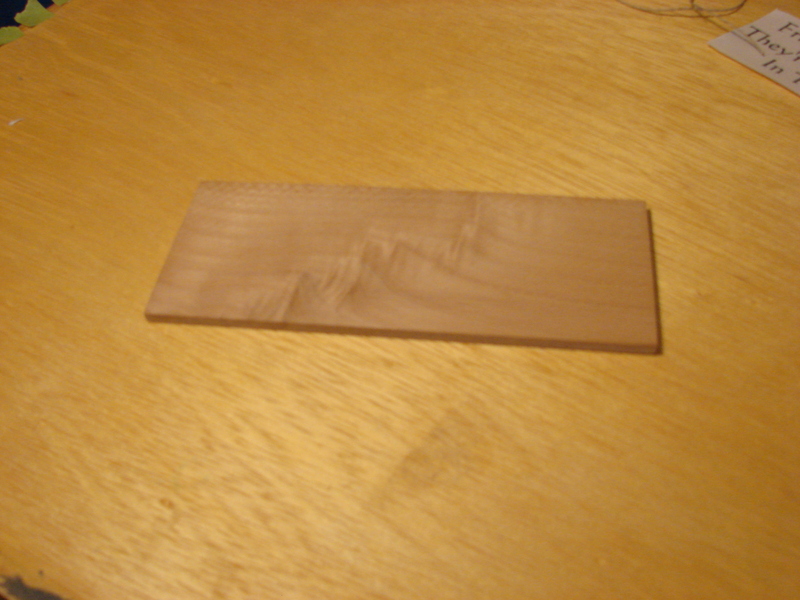 I started with a piece of solid pine. It can be any size you want. 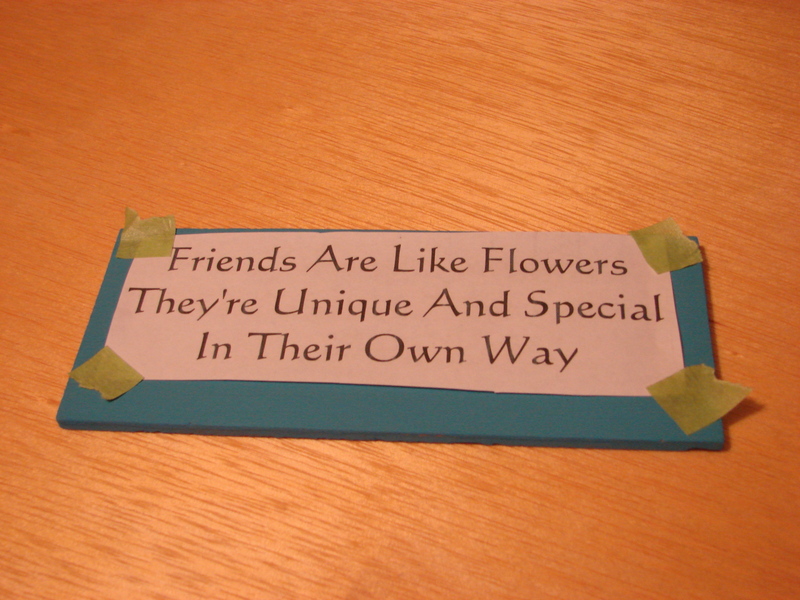 This piece happens to be approx 7″ wide, 3″ tall and 1/4″ thick. I got these from Ben Franklin in a pkg. You can get these at any Craft Store. Next I painted the pieces with Acrylic Paint. I put a couple coats of paint on to cover the wood. 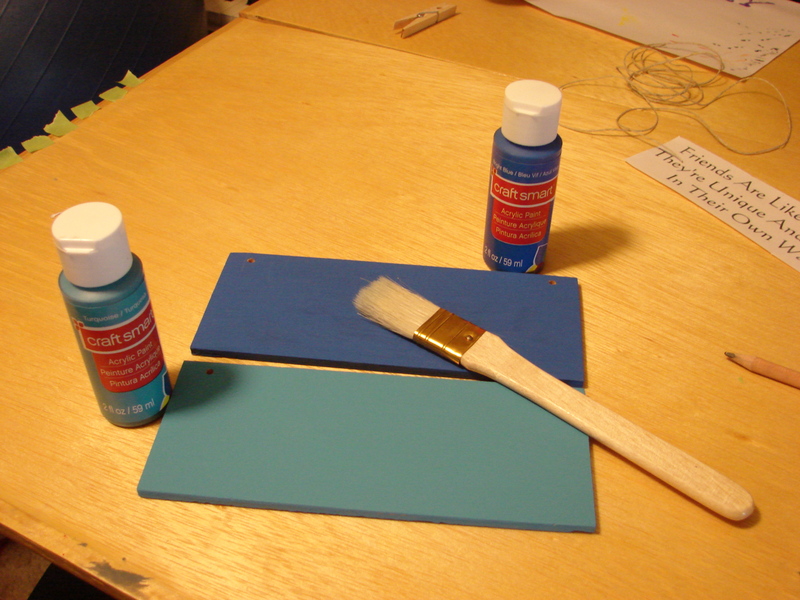 You can find Acrylic Paint anywhere you find craft supplies. 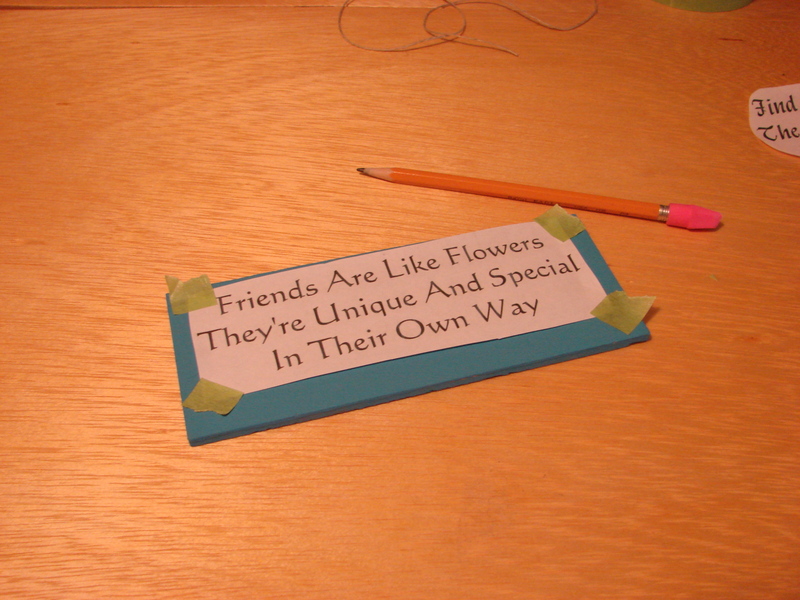 After the paint dried I used a 1/8″ drill bit to drill holes where I wanted the Ribbon or Twine to attach to the sign. I wanted to find an easy way to get the lettering onto the sign. 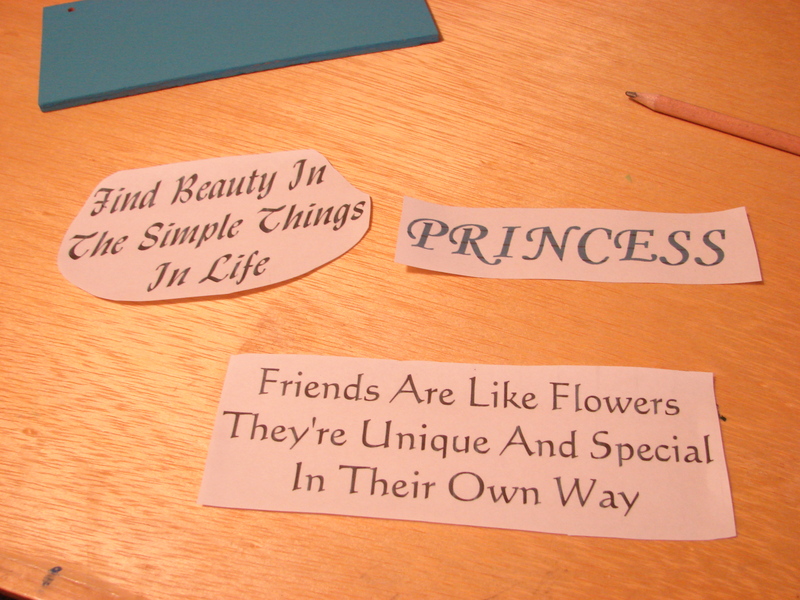 I had used Stencils and did not like using them, so I searched on the internet and found this Come Together Kids: How to do Custom Lettering without a Fancy Machine. I was so excited to find a simple and easy way to transfer lettering. You will need word processing software. Print up lettering in any size you want to fit the sign. I have a few examples in the picture above. 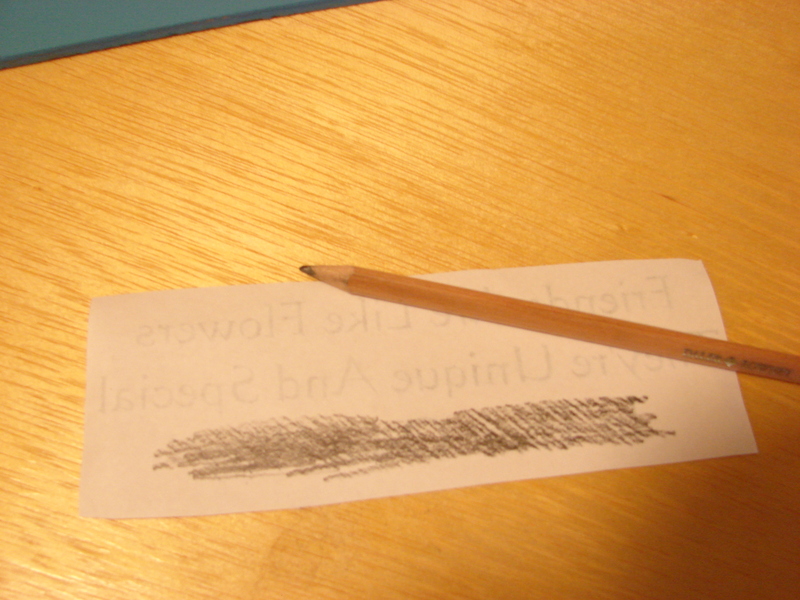 Here I used a drawing graphite pencil but it will also work with a regular pencil. I cut the lettering out the way I wanted it to appear on the sign. 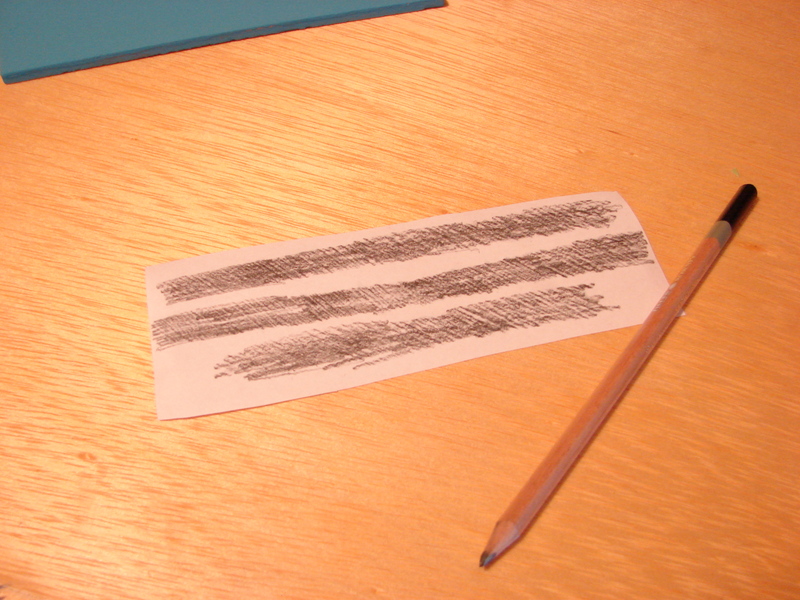 You want to flip the paper over and use the pencil to color over the entire lettering. You do not have to color the whole back of the paper just lettering. After coloring the back of the saying I placed it on the sign and taped it down so it would not move while working on it. I then took a pencil and traced around the lettering to transfer it onto the sign. Sorry the picture did not turn out real clear but you can get the picture that it does transfer the lettering onto the wood. I then proceed to outline with the paint and fill in the lettering. Here is a finished Sign Below! As you can see I I cut out the letters for this sign. 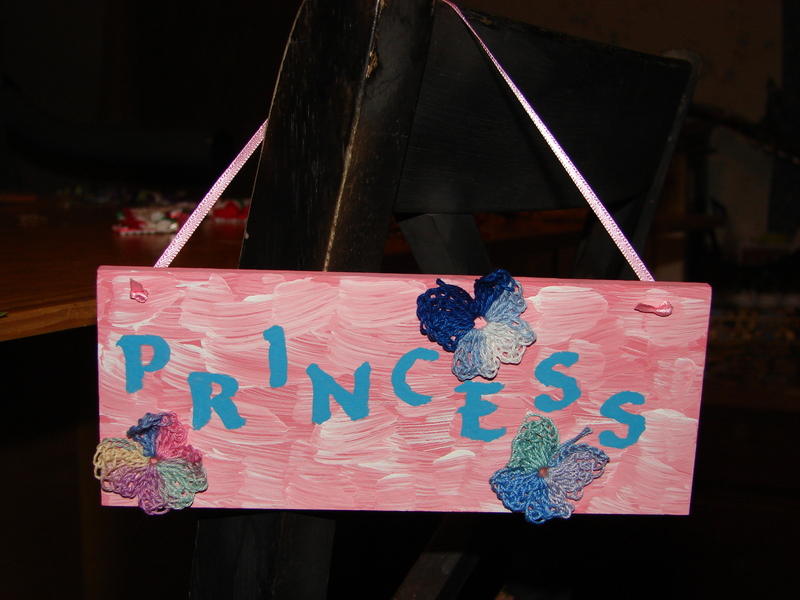 I glued the Crocheted Butterflies onto the sign. You can use anything you want to dress it up! 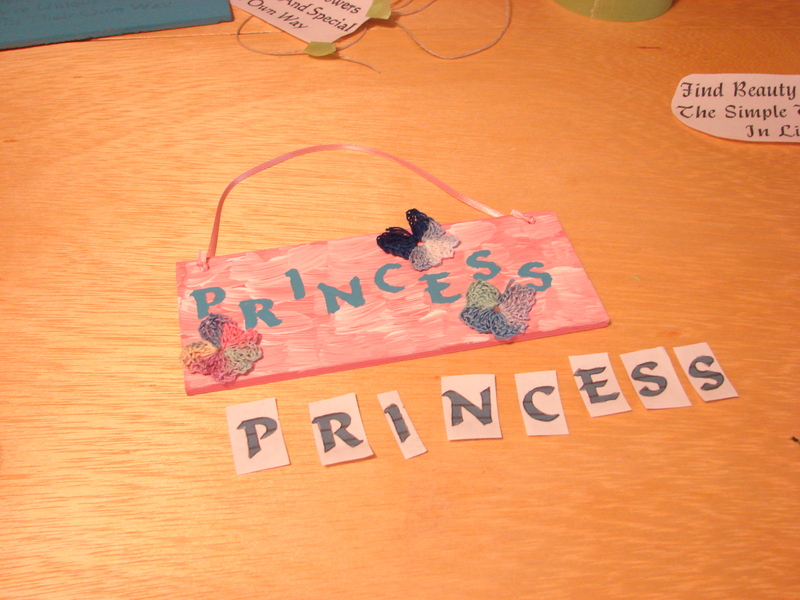 If you feel inclined to you can paint a little butterfly, flower or anything you want on the sign. 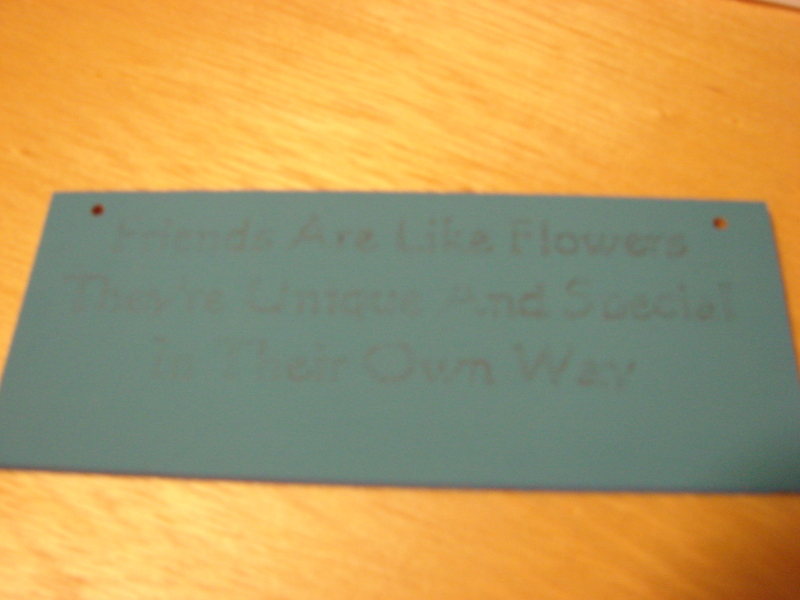 I cut some 1/8″ Ribbon out and ran it through the drilled holes from the back to the front. I then knotted the ends and cut off any extra. You now have a sign for hanging. As I sit here to write about the Christmas Spirit it reminds me of the time that I was asked by my employer what the Christmas Spirit meant to me. That was while I was working at Swiss Colony in Monroe WI and my children were still young. My kids are now all grown and I have Grandchildren but I do believe the same things apply to how I feel about Christmas. I will share what I wrote then…. 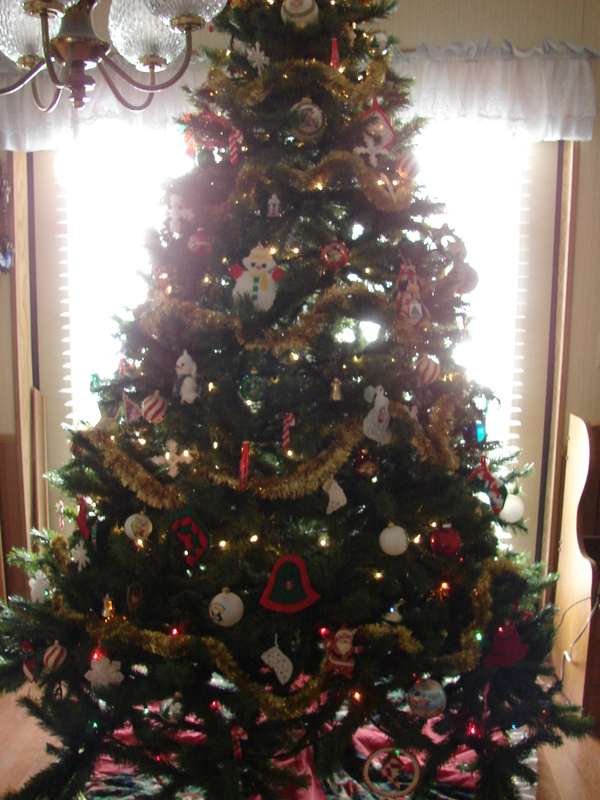 There are so many things that keep the Christmas Spirit alive for me! 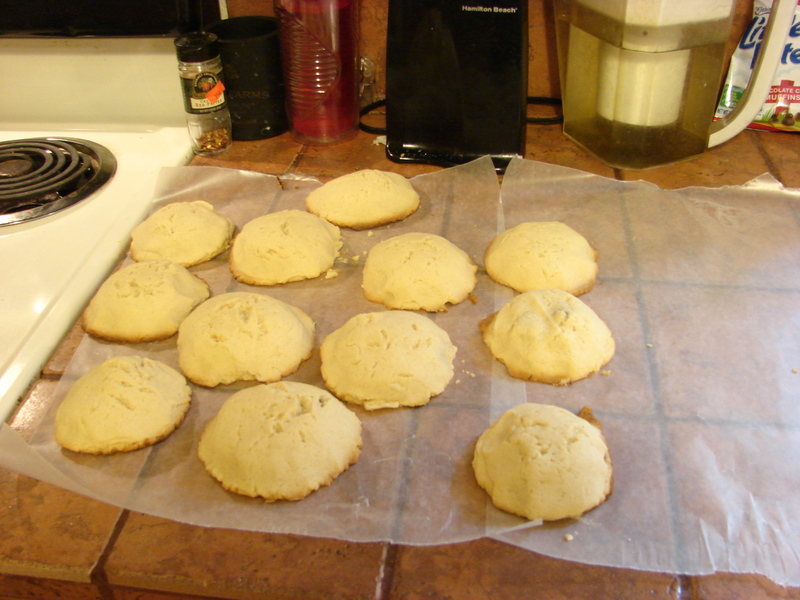 To start with it is being able to bake the treats that my family loves so well. Cinnamon rolls with that fresh baked smell, the cookies and candies that are made with sugar and all those fattening ingredients. Then there is the putting up of the decorations the day after Thanksgiving, which has been a tradition in my house for a long time. The tree comes out of storage along with all the rest of the decorations and that night after the chores are done we all gather around to put up the tree with the Christmas music playing in the background. The hustle and bustle of trying to get the things that everyone wants on their list. You can actually feel the excitement in the air with people smiling at each other for no apparent reason. When the first snowfall comes around, that is another exciting part of the joy of the Christmas Spirit especially for my kids! I go around singing too!! Of course what else would it be but Let it Snow! That song has always been one to give me that warm fuzzy feeling. The thing that I love the most about this time of the year is seeing that special smile from someone that you really care about. The sparkle that is in a child’s eyes when he or she looks up at you, saying I love you more than you can ever know. The over abundance of energy that they seem to have this time of year, constantly asking you when Santa is going to be here. There is also the list that is hung on the refrigerator for all to see of what they want Santa to bring them for the year. Last, but not least is the openness of giving that happens around this time of year. I love that too! The kisses and hugs that are given, the warm handshakes, the smiles on people’s faces. Now what would really keep the spirit alive is if we as people could accomplish this feeling the whole year through. Just think what the world would be like then!! 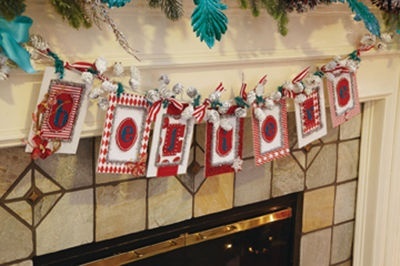 I also love to do crafts for the Holidays for decorations and gift giving! Here are some craft ideas to try! 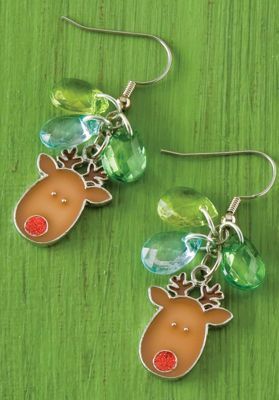 Holiday Charm Festive Reindeer Earrings. 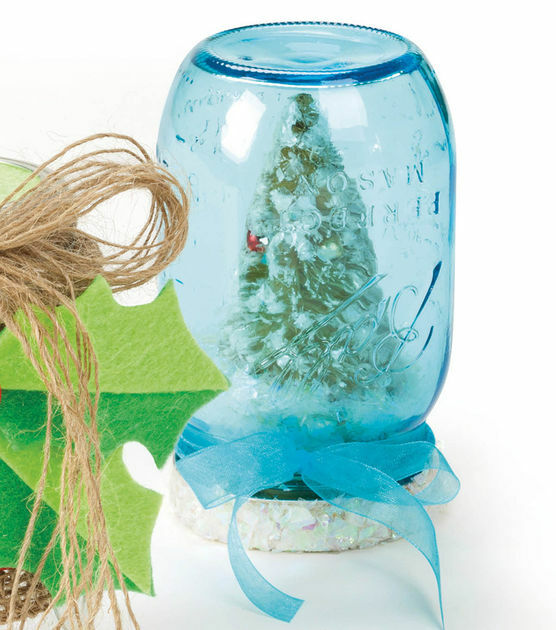 Ball Jars Snowglobe at Joann.com. 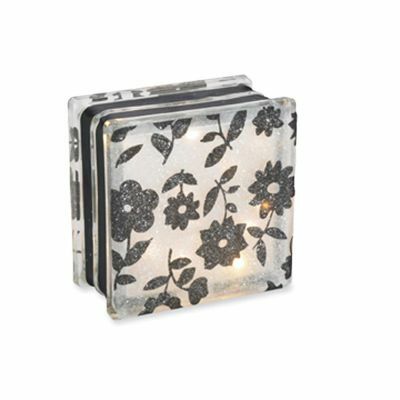 Sugared Black and White Tissue Glass Block. On this one I think I would have a tendency to use more of Red, Green and White colors! Thank you for taking a trip with me down memory lane on what the Christmas Spirit means to me. 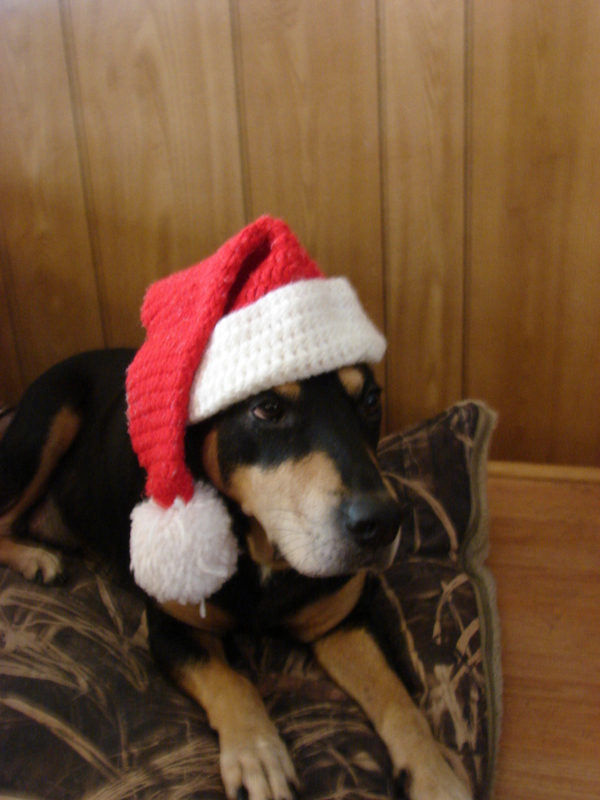 I hope you all are able to reflect on what the Christmas Spirit means to you! 🙂 Have a Great Week! !